A definitive, wide-ranging study of British horror cinema, from the films produced by the Hammer studios and their rivals in the 1940s and 1950s, to the films of the 21st century and their current popularity. A definitive, wide-ranging study of British horror cinema, from the films produced by the Hammer studios and their rivals in the 1940s and 1950s, to the films of the 21st century and their current popularity. From the films produced by the Hammer studios and their rivals in the 1940s and 1950s, to the films of the 21st century and their current popularity, Forshaw provides a definitive, wide-ranging study of British horror cinema. Beginning with a lively discussion of the great literary antecedents, British Gothic Cinema discusses the flowering of the genre in the middle of the 20th century and the headline-grabbing critical and establishment revulsion over the unprecedented levels of violence and sexuality. It also explores the rude health of the field and its continuing influence. With enthusiasm and scholarship, Forshaw celebrates the British cinema's long love affair with the Gothic and the macabre, both persevering characteristics of modern film and television. From the films produced by the Hammer studios and their rivals in the 1940s and 1950s, to the films of the 21st century and their current popularity, Forshaw provides a definitive, wide-ranging study of British horror cinema. Beginning with a lively discussion of the great literary antecedents, British Gothic Cinema discusses the flowering of the genre in the middle of the 20th century and the headline-grabbing critical and establishment revulsion over the unprecedented levels of violence and sexuality. It also explores the rude health of the field and its continuing influence. 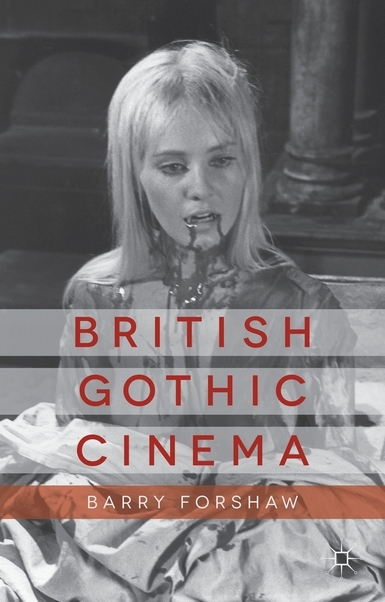 With enthusiasm and scholarship, Forshaw celebrates the British cinema's long love affair with the Gothic and the macabre, both persevering characteristics of modern film and television.